There is a reason this book is turning into a movie. It's because it is amazing, so moving and heartfelt. Truly one of my favorite contemporaries I've read this year! If you haven't heard of it yet, I'm so excited to be introducing you to it and if you have and you've read it, then you already know what all the hype is about. Rachael Lippincott was born in Philadelphia and raised in Bucks County, Pennsylvania. 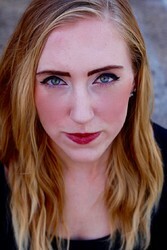 She holds a BA in English writing from the University of Pittsburgh. She currently resides in Pittsburgh, Pennsylvania, where she splits her time between writing and running a food truck with her partner. Taking a chance on an author and a subject that you know little to nothing about, is always a risk and in some cases, its a chance, a risk, worth taking. As is the case with Five Feet Apart. 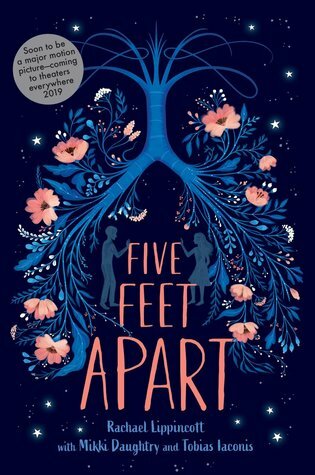 Beautifully written, heartfelt, emotional, and a read that will stick with you until the very end, Five Feet Apart is a novel that grabs you around the heart and refuses to let go. So wonderfully told and executed it's a book that I won't be forgetting for a long time to come. Poignant, emotional, informational, and an all around amazingly done story, Five Feet Apart is one you don't want to miss out on. Yes! And this really did pay off and definitely grabbed at me in more ways than one. I really think you are going to love this too Eileen! This sounds interesting and the premise is really original. I know, I thought the same thing when I saw it LOL! It was a great story and I can't wait to see the movie, it will be amazing I'm sure. It's always nice to find a new author that you end up liking. Sounds great! And a movie too! I know Cole Sprouse from Riverdale, I can see him doing a good job with an emotional role like this. The actress I'm not familiar with but I'm sure she's good too! Glad this is such a satisfying and heartfelt read. I'm not familiar with her either, at least I don't think so but I do recognize the guy from Riverdale! Turning into a movie huh? Now you really have me curious. Yes and I can't wait for it. I hope it follows the book really well because it really was so good. You've got me interested and in the movie too! It also sounds like it could be heartbreaking. I saw the trailer for this movie the other day and it looks so good, so of course I'm going to have to read the book first. Great review! I always have to read the book first too. ;) I hope you love it as well! I really am too Debbie! I didn't know about this one but it looks good and I love the cover! I really like the cover as well. That is a risk, but taking risks like that can get you some really great stories. I'm glad this one worked so well for you. Great review. So true and thank you! Glad you are going to take a chance on it! I glad this proved to be a risk worth taking. First time I'm seeing it on any of the blogs I follow. Huh! Glad it was a risk worth taking!